An international study has found that almonds have retained the top spot as the number one ingredient in consumers’ ideal chocolate products, selected by 42% of global respondents. The survey by the Sterling Rice Group, which was supported by Innova Market Insights, found the international trend for healthier options within confectionery showed continued patterns of growth. As the chocolate industry continues to innovate to meet challenges in consumer demand, ingredients with natural, wholesome appeal like California almonds, which are grown by 6,500 farmers in the state’s central valley, can help manufacturers deliver next-level products. 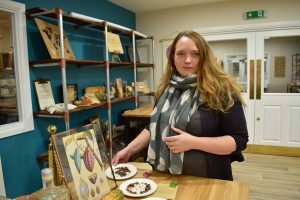 The new research highlights opportunities for manufacturers to tap into preferences for texture and flavour, and to address clean-label trends driving chocolate innovation forward. The results from the study also showed that almond butter has emerged as a top filling/flavour, particularly in dark and white chocolate, with 2% of consumers indicating they are eating more of such varieties than two years ago. Recent Innova research tracked an increase of 30.5% of new chocolate product introductions in 2017 featuring a ‘better-for-you’ claim. In addition, almonds’ satiety-inducing protein and nutritious profile make them an excellent ingredient to meet these demands and helps add ‘health appeal’ in chocolate products. The need for differentiation in an increasingly crowded marketplace has also encouraged variations in the format of the almonds themselves, encompassing not only whole almonds, nibs, slivers, brittles, butters and creams, but also preparation methods, which have moved on from roasting and salting (particularly with highly fashionable sea salt), and into methods such as caramelising and kettle-cooking. 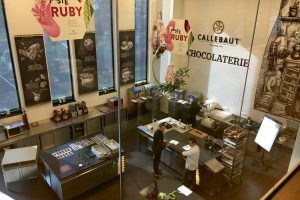 “Within the chocolate landscape, the manufacturers that continue to stand out are the ones that provide a unique, novel and varied consumer experience. 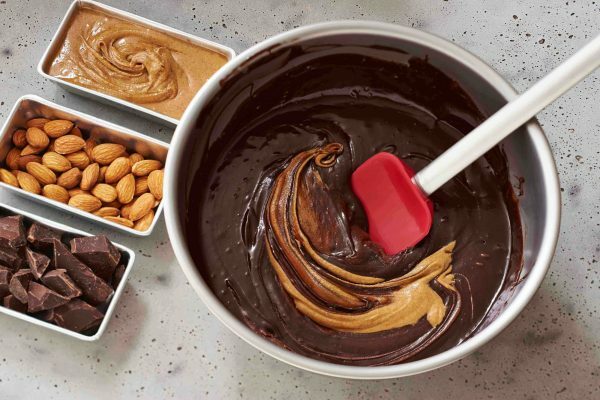 Adapting the recipe with almonds, changing the format and updating the packaging are just a few of the ways manufacturers can ensure differentiation in a highly competitive market,” explained Roffe-Rackind. 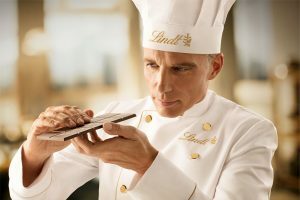 According to the research from the Global Chocolate Survey, the importance of indulgent flavours and texture formats for chocolate confectionery also continues to drive interest. California almonds have the unique ability to enhance the flavour, texture and health factors of chocolate products. Trending inclusions and extra-indulgent flavours such as matcha tea, coconut, blueberries and mint pair well with almonds and offer a more premium image and experience.